Hi, my name is Suzanne, and I am the General Manager here at Meadow Park. I hope you find everything you need on our website! Since leaving school in 1984, I have worked in various settings that provided care and support to those in need, from supporting children under 18 years with physical disabilities to caring for babies when parents required respite. I initially became a cook at a local nursing home, where I would manage the kitchen and staff, before I decided to broaden my skills and experiences and take up care support roles. 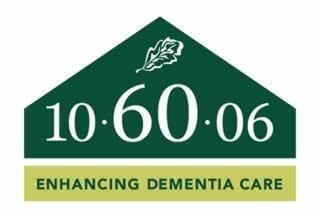 I achieved all relevant training and management qualifications, including RMA Level 4, and became a Registered Manager in 2007 in a residential care setting that specialised in supporting people living with dementia. My name is Vicky and I am the Deputy Manager of Meadow Park Care Home. I help support the General Manager with the daily running of our home, particularly the clinical side. I have worked at Meadow Park for the past since 2014 and have been with Barchester since 2010. I was initially a Bank Care Assistant and, after a lot of hard work, I eventually progressed to management level. I have qualifications in leadership and health & social care, which allow me to bring a certain level of knowledge and expertise to the home. Julie started at Meadow Park in 2003 as a Care Assistant and immediately impressed her colleagues with her person-centered approach and dedication to her job role. Julie has shown some exceptional devotion to all residents at Meadow Park; she goes that extra mile to ensure that activities in the home are fun and even spends her own free time taking residents on trips in the minibus. Always happy to offer assistance, whether it's help with personal care or serving meals, Julie is a very enthusiastic person who constantly inspires others with her outstanding work ethic. My Name is Lacey and I am a Senior Carer here at Meadow Park. I have been working here since I was 16 years old, starting on the domestic team, then changing over to the care team when I turned 18. Following this, I completed my NVQ Level 2 and 3 in Health & Social Care. I have gained lots of knowledge about dementia care and I enjoy working on the Memory Lane community within our home. I have worked in the care sector for over 20 years and have been at Meadow Park since 2015. Originally, I was bank staff, but I enjoyed my job so much that I became permanent in 2016. I am a caring and passionate lady and know a lot of people in our community, as I also used to be the ‘bingo caller’. I have many years of experience, skills and knowledge, particularly in the mental health sector.